We work to improve and build on an organisation’s existing management and advocacy, while encouraging leadership for a community-led HIV response. 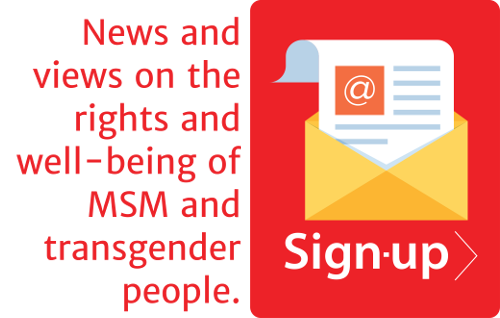 JumpStart is an inclusive system consisting of essential features for strengthening the organizational capacity of MSM and transgender networks across Southeast Asia and the Pacific. The project serves as a catalyst for regional, sub-regional and national networks to explore core competencies that they can build on and, at the same time, to explore skill development the networks may devote to. a scoring tool which assesses a community organisation in its operations and performance against programmatic and organisational criteria. a tool to assist community organisations to utilize the available strategic information in conducting more systematic and planned advocacy. JumpStart has also translated various advocacy materials into eleven local languages to assist in communities’ analysis and interpretation of useful data and to increase their service uptake throughout the region. The project has currently assisted 13 community organisations throughout the region.